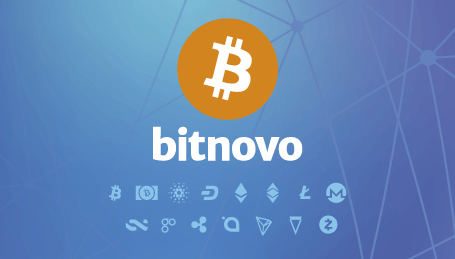 As usual every month, Bitnovo has prepared a new surprise for its followers! 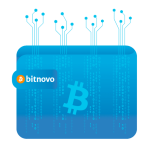 Today we are pleased to share with our crypto lovers the launch of the new Bitnovo Blog. As you know, during the last years we have worked hard to improve our services of sale and purchase of bitcoins and cryptocurrencies. Selling of bitcoins and some of the cryptocurrencies most demanded by our public, like dash, ethereum, ripple, litecoin, bitcoin cash, monero, tron and many more. Bitcard card, to sell cryptocurrencies in two steps, without having a bank account or registration. Gift Card redeemable for cryptocurrencies, which can be purchased in large commercial areas such as Carrefour, Fnac, Game, in Crystal Media Shops stores, present in many airports in Spain and in a wide network of tobacconists, kiosks and associated businesses. Cryptocurrency ATMs, which offer the possibility of buying our favorite crypto in cash, in a multitude of bitnovo points. The free Bitnovo app, which allows to buy cryptocurrencies quickly and easily from anywhere. This is why we decided to give a new style to the Bitnovo blog, with the aim of improving the user experience and the quality of the information. Today we publish the new Bitnovo blog, with a fresher and younger aesthetic. More intuitive and easier to navigate. But, above all, we want our users to have the choice of filtering the news that are interested in, without having to simply look at a long list of uncategorized articles. Blockchain, bitcoins, cryptocurrencies, and a section where you can find all the news available on the blog. And, for all bitcoin enthusiasts … we are preparing a section that will contain the complete bitcoin guide, as a tribute to the first and most famous virtual currency in the world. That’s not all! Bitnovo new blog is now multilingual: now available in Spanish, English and Italian. And that is that we want to give the chance to our audience, from all over Europe, to enjoy all the info shared. There is still a lot of work to be done and we will continue to work hard to constantly publish interesting articles and news related to the world of crypto and blockchain. So, if you want to be aware of all the crypto news, we are waiting for you in the Bitnovo new blog.